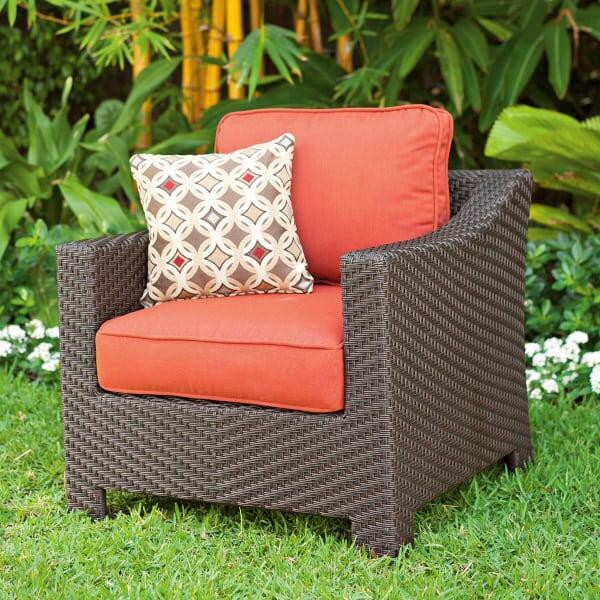 Comfortable Patio Furniture For Outdoor Living - Bring Home The Best! 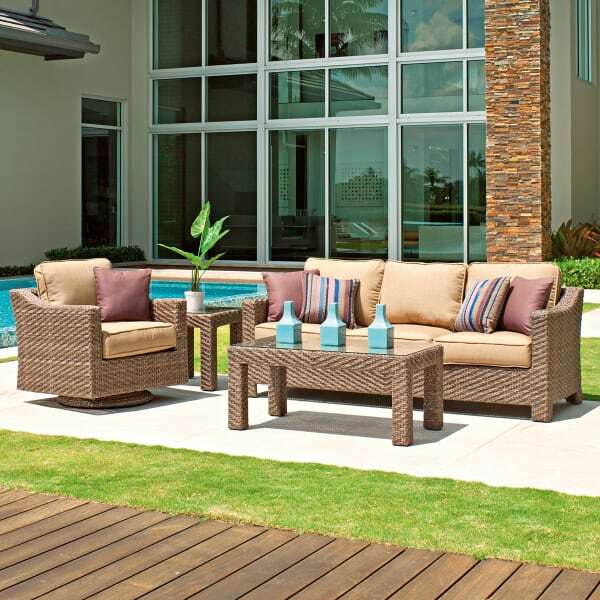 Featured Patio Set Includes: Sofa, Club Swivel Glider, Coffee Table and End Table. Lake Shore Drive in Chicago runs parallel to Lake Michigan; on one side you will see the natural majesty of a Great Lake, on the other the towering Chicago skyline. 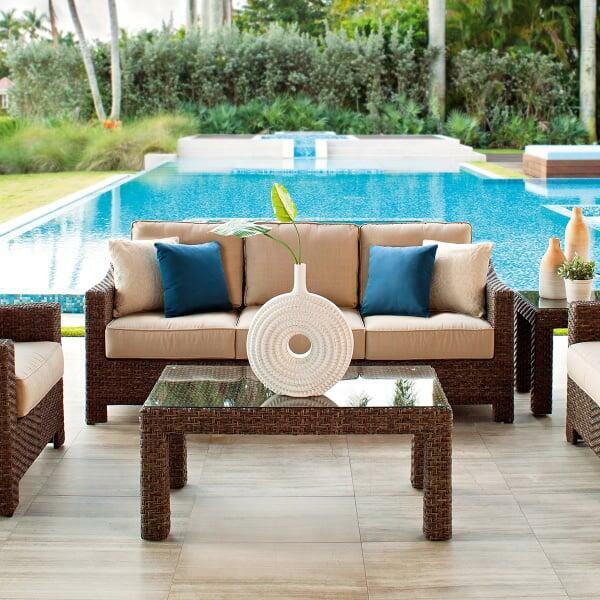 This collection by Telescope also brings you the best of both worlds. 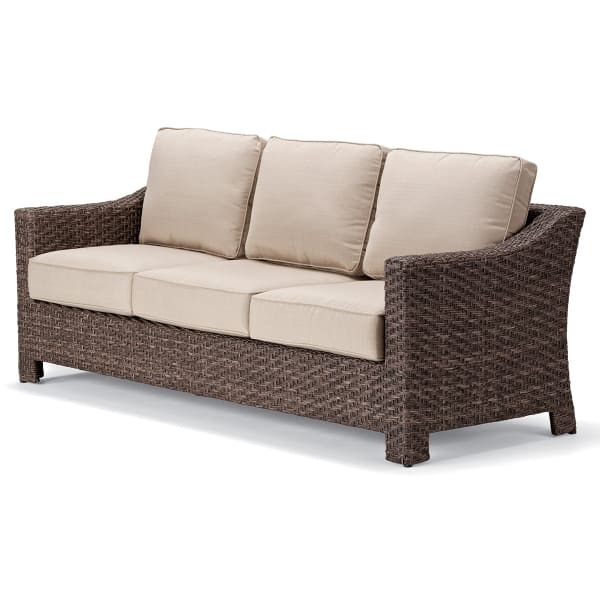 On one hand you have the organic look of natural wicker and on the other you have a sleek, urban design that would complement any Windy City penthouse. 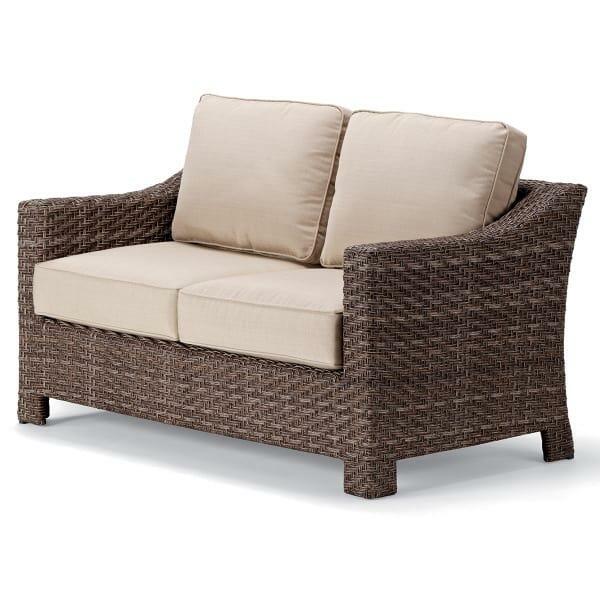 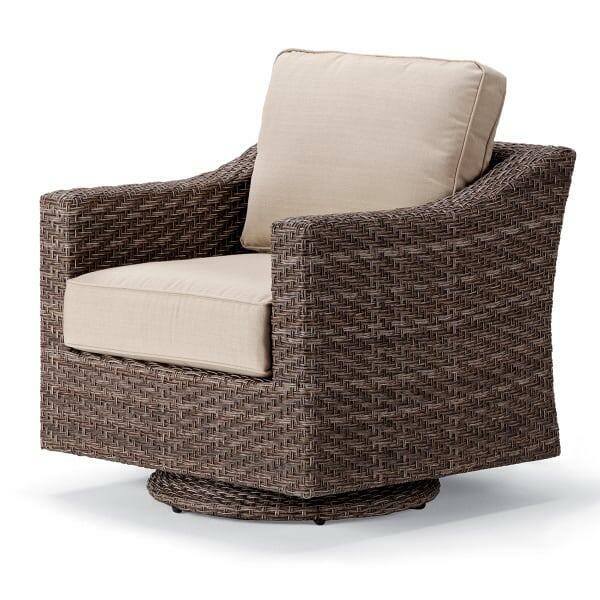 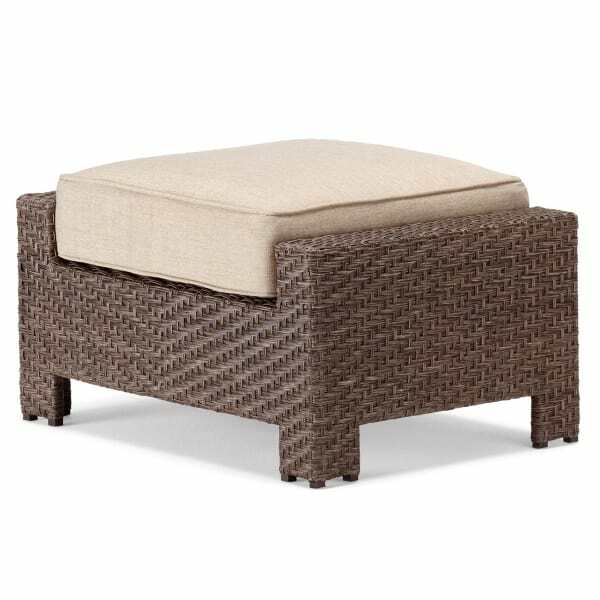 Constructed of maintenance free resin wicker with rust-proof, fully welded aluminum frames, the upscale plush set can be used in any outdoor venue. And the extra-comfy, rain-through cushions offer exceptional comfort and the convenience of quick dry outdoor seating. 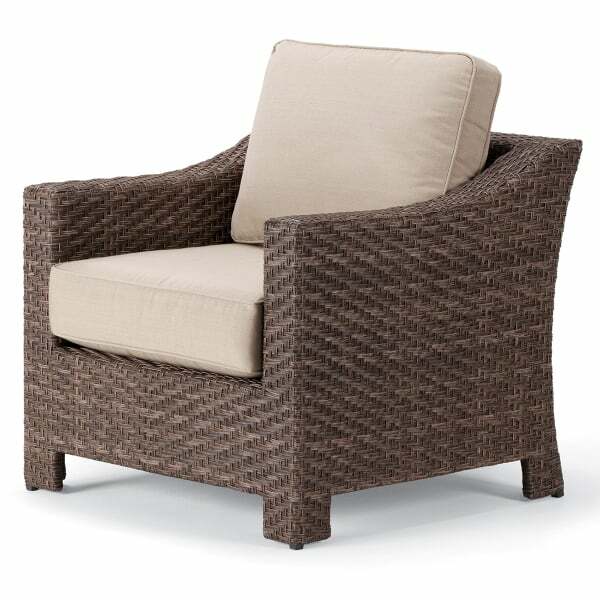 This Telescope grouping is available in two finishes, Java and Driftwood, and it comes with your choice of designer outdoor fabrics.